Pookaari.com- a premium curated fashion accessory online portal is all set to join hands with the renowned accessory designer Nitya Arora of the “Valliyan” fame and is launching a line of accessories designed exclusively for the portal. It is an eleven piece line that includes earrings, neck-pieces, hand-cuffs and head-gears. The collection goes live on the 13th of August, 2015. 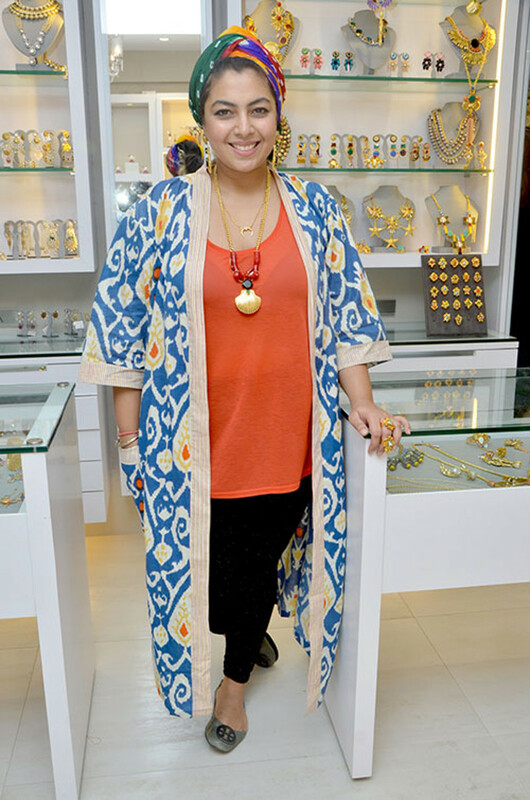 Nitya is known for her esoteric style when it comes to crafting jewellery. Her striking blend of semi-precious stones, glass, crystals, metals, bright Indian hues and rare materials all combined with gold plating makes it to be the most distinctive label on the portal. The accessories promise to reflect a sculptured quality and all her pieces are one of a kind.